You Are my Home- CSI #85 with 2 Crafty and 13 Arts. 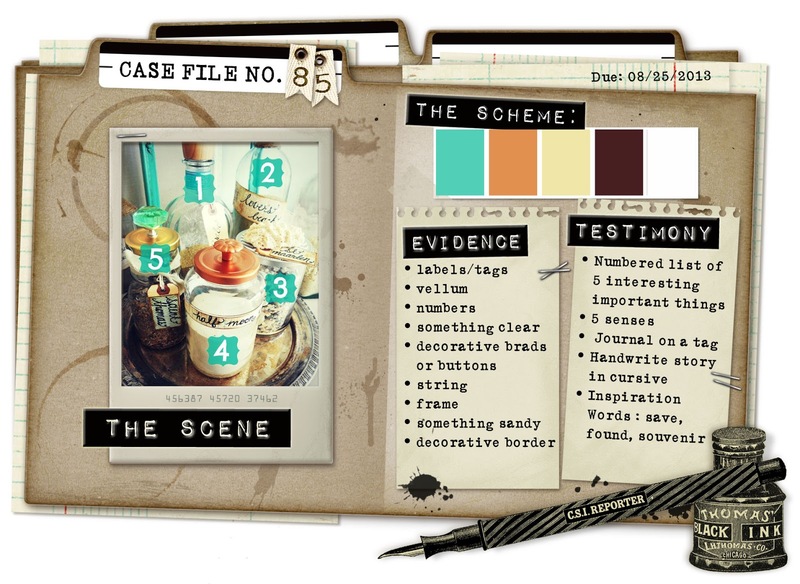 This layout was created for CSI #85 using 13 Arts Mediums and 2 Crafty Chipboard. These go so perfectly together because I love altering chipboard and the 13 Arts products are perfect for this. 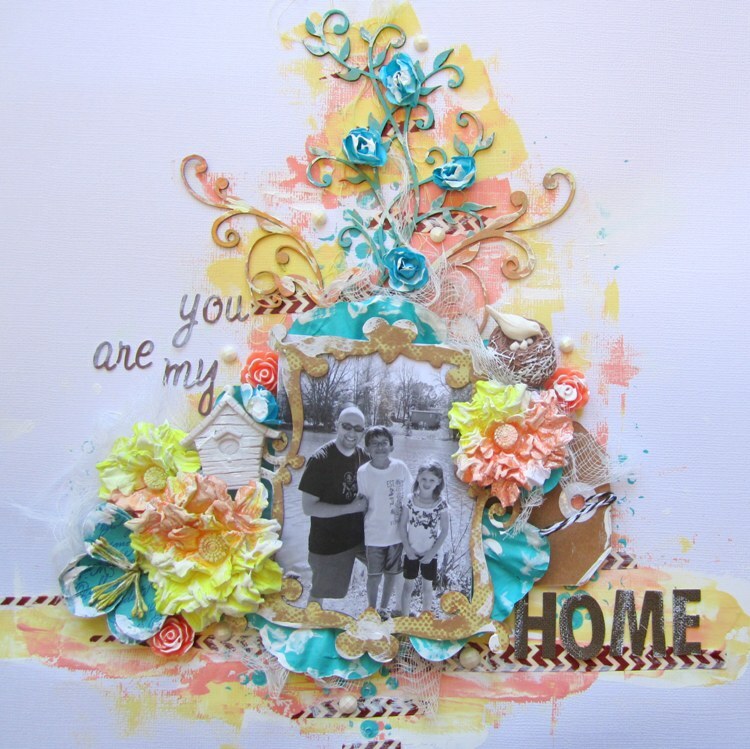 I used lots of 13 Arts Mixed Media to create this layout. I framed the photo in the Zany Frame which I painted in 13 Arts yellow paint and then stamped with brown archival ink from Ranger. To create the flourish garden on top, I used one Angie’s Vine for the centre, which I painted in 13 Arts Turquoise paint and two Flourish Adornments from Set 5 which I painted in 13 Arts Salmon paint. These two beautiful flowers below are also 13 Arts and I sprayed them in 13 Arts Pearl Orange spray and Yellow Chalk spray. I am impressed by this LO, beautiful!!!! Soooooooo beautiful!!! Love love love love the colors and the flowers!!! Totally stunning!! I can't stop looking at all your gorgeous details! Saw this over at CSI and had to come for a closer look! Love that garden you created at the top! Fab take on the challenge! Gorgeous use of the sprays and paints. Looks awesome!! This is stunning Keren!! those colors are amazing together, and it looks like your son is gunna be taller then hubby!! Beautiful Keren, love your arty background, matches so perfectly with everything and adds a gorgeous highlight to the flowers. Lovely! Aida's new paint colours look gorgeous!! This is just GORGEOUS!! WOW!